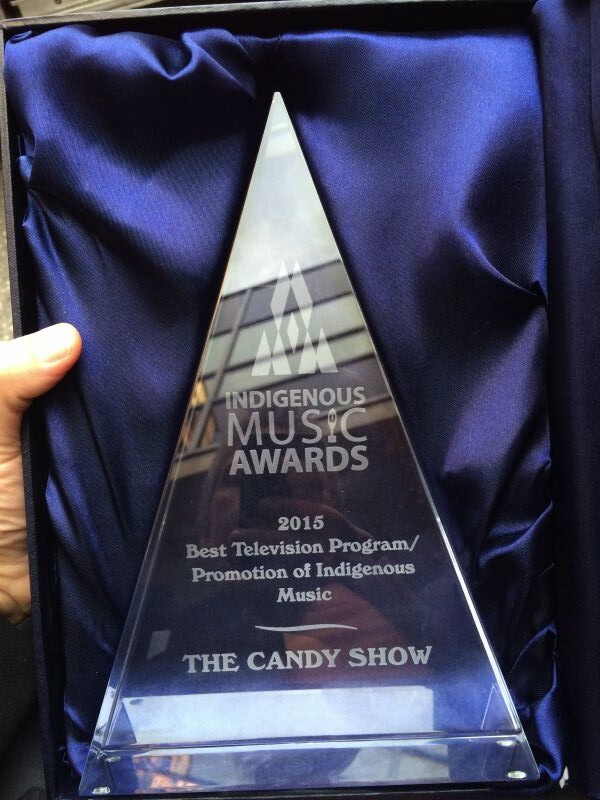 The Candy Show won for BEST TV Series for the second year in a row at the Indigenous Music Awards held in Winnipeg. 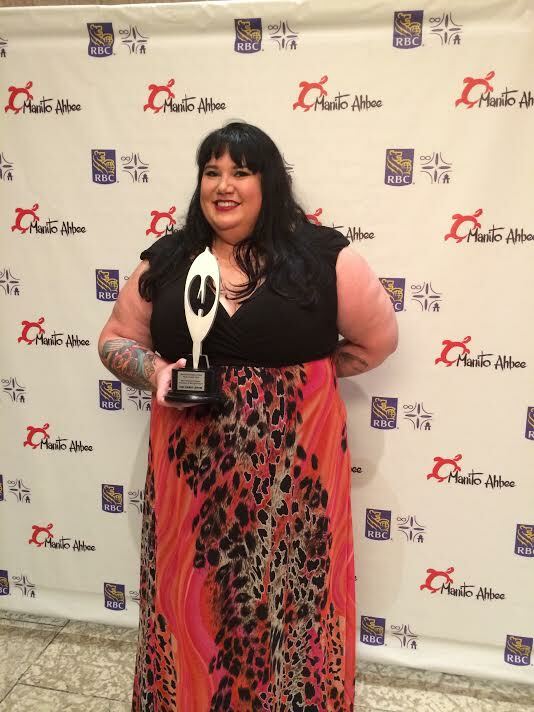 Thank you to each and every one of you who voted from all over the globe, and for your love and support. 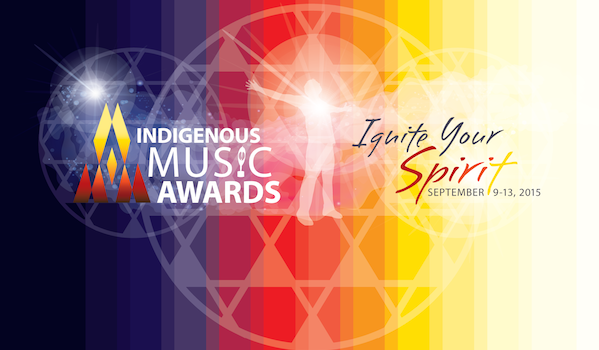 We share this award with you…. but we will hold onto it in our office. 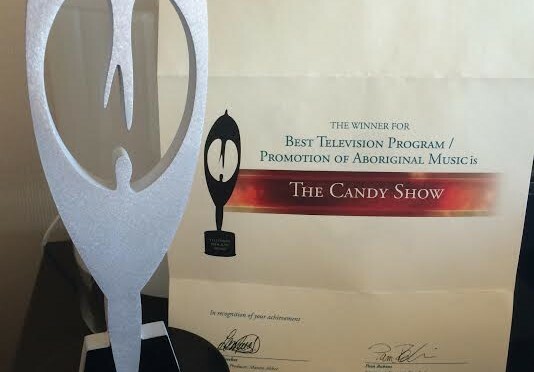 Candy hosted the red carpet while her category was announced and the great Canadian icon ,Fred Penner, presented Candy with her award on the red carpet during her hosting. It was fantastic! I caught it all on vlog which will go up sometime next week when we get back from Halifax, Nova Scotia. 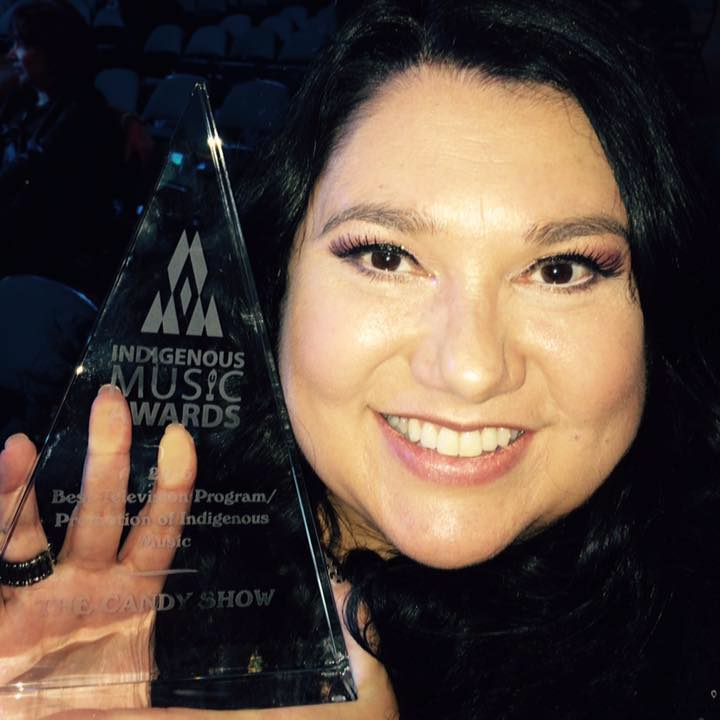 The Candy Show is Created, Produced, Written 100% all material and Co-executive produced…… hosted let’s not forget, by Candy Palmater. Candy had hired a team from ocean Entertainment in Halifax to help with production for the five seasons, under the name Fancy Shoes TV INC.